Col­in Lynch leads the audi­ence in a selec­tion from the Empire State Hymn­book at the 2018 Rochester Con­ven­tion. Edoar­do Bel­lot­ti plays the Ital­ian organ at the Memo­r­i­al Art Gallery, dur­ing the 2018 Rochester con­ven­tion. The Organ His­tor­i­cal Soci­ety cel­e­brates the pipe organ each year through a con­ven­tion fea­tur­ing instru­ments of his­tor­i­cal inter­est in one loca­tion in North Amer­i­ca. 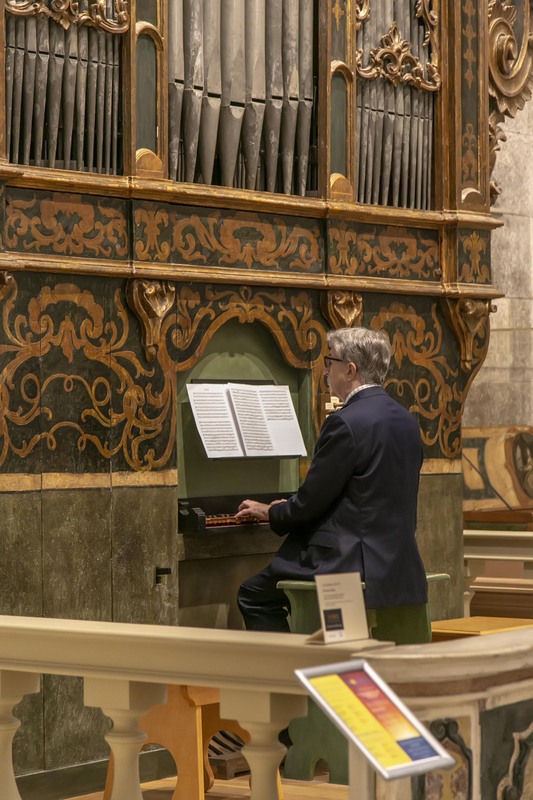 The pipe organ com­mu­ni­ty gath­ers at these con­ven­tions for fel­low­ship, recitals, lec­tures, and to sam­ple the local cul­ture and archi­tec­ture. In many instances, the work of a local organ­builder (recent or his­tor­i­cal) is high­light­ed. Non-mem­bers are very wel­come to attend, although mem­bers receive a sig­nif­i­cant dis­count on reg­is­tra­tion, so we encour­age atten­dees to join. The E. Pow­er Big­gs Fel­low­ship can pro­vide fund­ing for first-time atten­dees of OHS con­ven­tions. 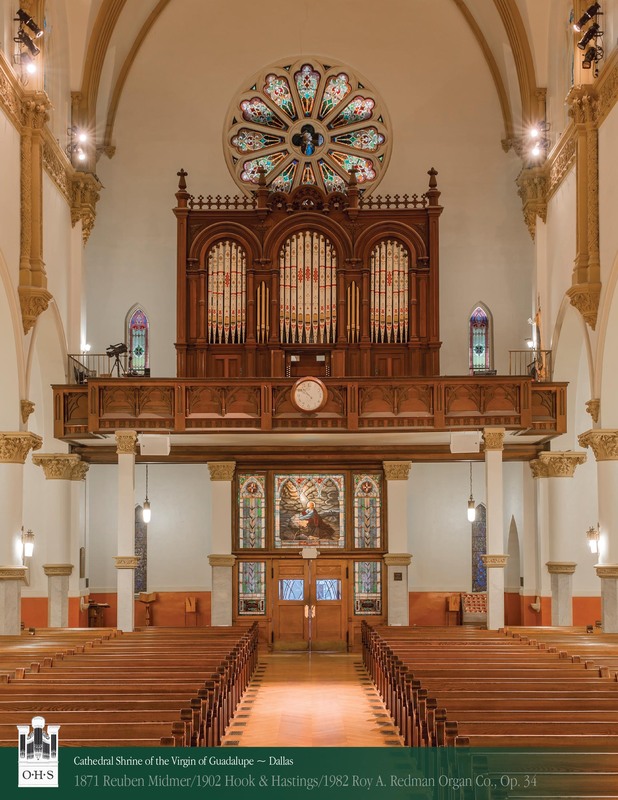 Are you proud of the his­toric pipe organs in your area? Would you like to share them with the rest of the OHS mem­ber­ship? 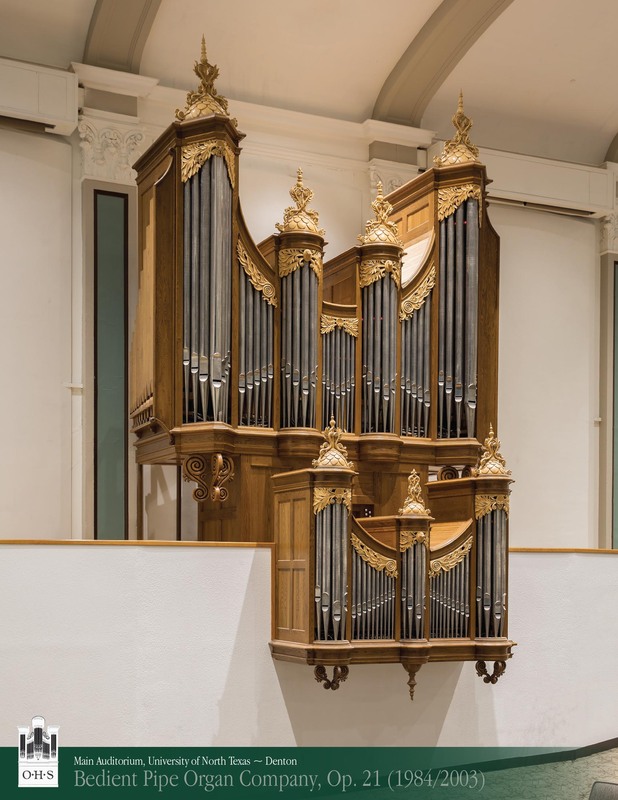 Christo­pher Ander­son is a schol­ar and organ­ist with par­tic­u­lar inter­ests in ear­ly musi­cal mod­ernism, mod­ern Ger­man his­to­ry and phi­los­o­phy, the organ’s posi­tion in West­ern cul­ture, and Max Reger, about whom has writ­ten exten­sive­ly in two mono­graphs and many essays. He is Asso­ciate Pro­fes­sor of Sacred Music at South­ern Methodist Uni­ver­si­ty, where he teach­es cours­es in his­to­ry and analy­sis. Ben­jamin Kolodziej is Organ­ist and Choir­mas­ter at St John’s Epis­co­pal Church in Dal­las and is Organ­ist at Perkins Chapel, SMU, for wed­dings. He holds an under­grad­u­ate degree in Organ Per­for­mance from SMU, and an MSM and MTS from Perkins School of The­ol­o­gy. He has writ­ten for numer­ous jour­nals includ­ing The Amer­i­can Organ­ist, The Dia­pa­son, The Can­ter­bury Dic­tio­nary of Hym­nol­o­gy, The­atre Organ, as well as for the forth­com­ing Luther­an Ser­vice Book Hym­nal Com­pan­ion. As an organ­ist he has per­formed through­out the USA, Eng­land, Ger­many, Italy, Nor­way, and Aus­tria, includ­ing at St Patrick’s Cathe­dral, NYC, St Philips Cathe­dral in Atlanta, St Mary’s Cathe­dral in San Fran­cis­co, and the Cathe­dral of Our Lady of Angels in Los Ange­les. His organ music is pub­lished by CPH, Augs­burg and GIA. James L. Wall­mann has degrees in music from Brigham Young Uni­ver­si­ty, where he stud­ied organ with J.J. Keel­er, a stu­dent of Karl Straube, and law from George­town Uni­ver­si­ty. He works as a cor­po­rate attor­ney in Irv­ing, Texas, and lives near Dal­las. Since 1984, Mr. Wall­mann has reviewed more than 600 books, most in for­eign lan­guages, for The Amer­i­can Organ­ist. His arti­cles have appeared in The Organ Year­book, The Track­er, The Amer­i­can Organ­ist, Het Orgel, The Organ: An Ency­clo­pe­dia (2006), and Twen­ti­eth-Cen­tu­ry Organ Music (2012). We in Dal­las are pleased to host the next Organ His­tor­i­cal Soci­ety con­ven­tion, and we invite you to join us in the Lone Star State. Texas has a cul­ture all its own, a cul­ture which abounds with sur­pris­es. Since the build­ing of the Mey­er­son Sym­pho­ny Cen­ter as home to the nation­al­ly-acclaimed Dal­las Sym­pho­ny Orches­tra in down­town Dal­las dur­ing the late 1980s, the city cen­ter has seen the con­struc­tion of an arts dis­trict that includes the AT&T Per­form­ing Arts Cen­ter and the Win­spear Opera House for musi­cal pre­sen­ta­tions, while the Dal­las Muse­um of Art show­cas­es an art col­lec­tion unpar­al­leled in the South­west. The revi­tal­iza­tion of the city includes plen­ty of green spaces, includ­ing Klyde War­ren park — a green expanse built over an express­way. Only min­utes from down­town, Deep Ellum is home to numer­ous arts, enter­tain­ment, and musi­cal venues, all of a decid­ed­ly non-organ bent. Get­ting here is easy and rel­a­tive­ly pain­less, with two air­ports serv­ing this region which is so cen­tral­ly sit­u­at­ed with­in the Unit­ed States. And once you get here, a pub­lic trans­porta­tion sys­tem means that much of the expan­sive city is with­in reach of the vis­i­tor with­out a car. Make no mis­take, the Dal­las-Fort Worth ​“Metro­plex,” as it is known, is a sprawl­ing region with over sev­en mil­lion inhab­i­tants, the fourth-largest met­ro­pol­i­tan area in the coun­try, and we are hap­py to do the dri­ving for you, tak­ing you to expe­ri­ence some unique­ly inter­est­ing organs. The region is home to sev­er­al major uni­ver­si­ties, but much of our time will be spent at two: the South­ern Methodist Uni­ver­si­ty cam­pus, across the high­way from the convention’s hotel, boasts an active organ pro­gram with numer­ous fine instru­ments by Dob­son, Aeo­lian-Skin­ner, C.B. Fisk, and Hook & Hast­ings. A high­light here is the Mead­ows Muse­um which fea­tures the largest col­lec­tion of Iber­ian art out­side of Spain, and just so hap­pens to house the state’s old­est pipe organ, orig­i­nal­ly at Evo­ra Cathe­dral. Our time at SMU will be shared with The Hymn Soci­ety of the Unit­ed States and Cana­da, the col­lab­o­ra­tion with whom will include a shared ple­nary ses­sion. 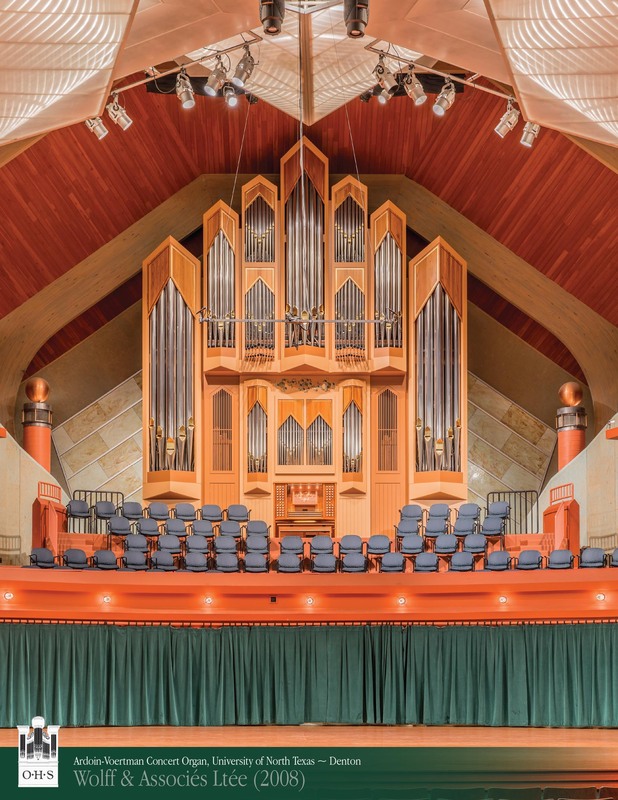 The Uni­ver­si­ty of North Texas in Den­ton, a north­ern region­al sub­urb, will host the OHS on anoth­er day as we expe­ri­ence the numer­ous con­cert organs on cam­pus. 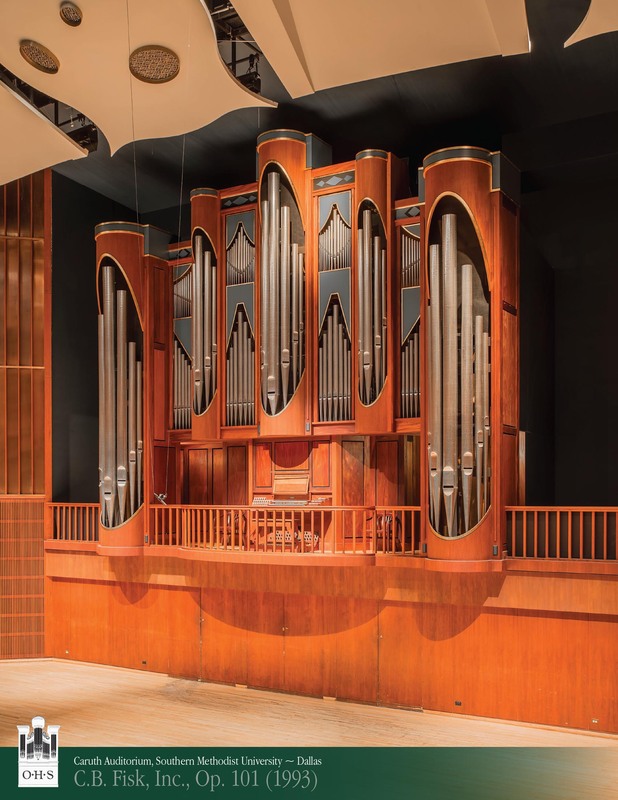 Where else can one hear a 1949 Möller and a 1986 Bedi­ent French clas­si­cal organ in the same audi­to­ri­um, not to men­tion a his­toric Swiss/​German organ with Texas roots of over a cen­tu­ry? We in Dal­las are proud of our organ cul­ture. Once home to numer­ous Pilch­ers, Hook & Hast­ings, Esteys and Aeo­lian-Skin­ners (alas, the city only had one E.M. Skin­ner organ), the region’s pros­per­i­ty through the decades has result­ed in these instru­ments hav­ing been replaced with new­er instru­ments, more in keep­ing with their time. 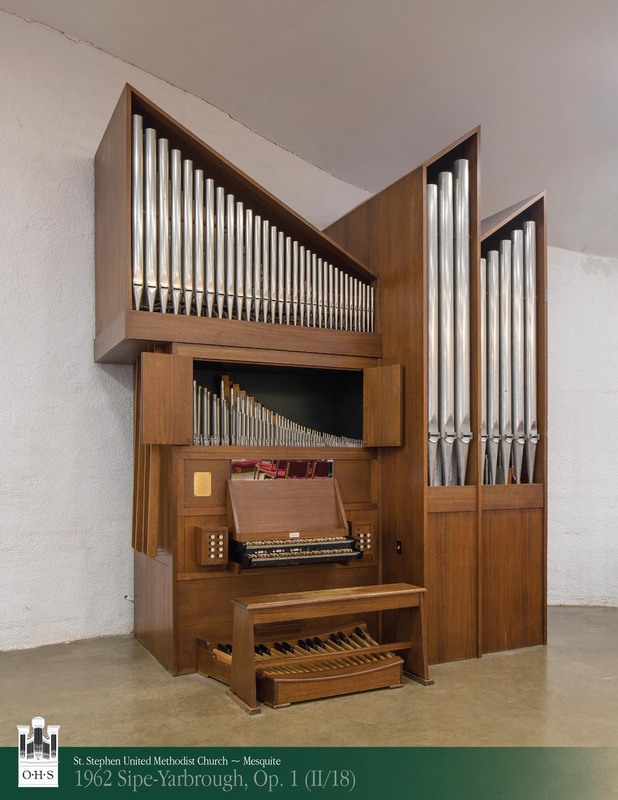 Although we will vis­it a num­ber of these old organs that still exist, we will also vis­it lat­er impor­tant organs of their time, includ­ing an Alsa­t­ian-inspired Kern organ from the 1970s which opened ears to ​“new” sounds, an organ from the ear­ly 1960s which rep­re­sent­ed one of the ear­li­est for­ays into the neo-baroque revival in the region, and of course the mighty Fisk Opus 100 at the Mey­er­son Sym­pho­ny Cen­ter, a ground­break­ing and icon­ic instru­ment which paved the way for the many con­cert hall organs that have been built through­out the nation since. 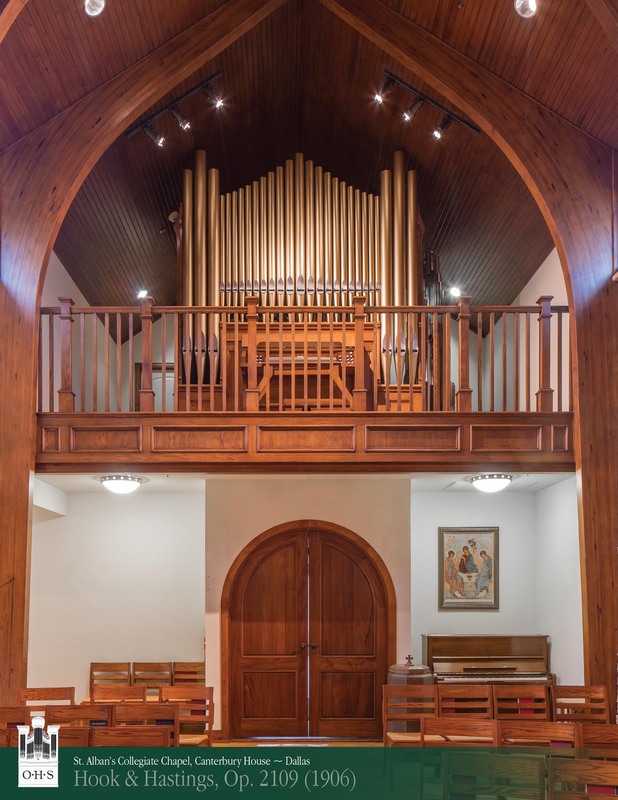 Texas has a long and sto­ried past, and its often-over­looked tra­di­tion of organ build­ing is no less inter­est­ing; to explore this, some long-time Texas builders and organ his­to­ri­ans will guide us in this his­tor­i­cal nar­ra­tive. And, in case you are won­der­ing about the weath­er in Texas at this time — there is no way to get around the heat! But we Tex­ans know how to deal with this, with all our venues are ful­ly air con­di­tioned. We hope to see you 14 – 18 July, 2019. The Organ His­tor­i­cal Soci­ety cel­ebrates, pre­serves, and stud­ies the pipe organ in Amer­i­ca in all its his­toric styles, through re­search, edu­ca­tion, ad­vocacy, and music.